Creativity, it is often said, is 99% perspiration and 1% inspiration and when you have a working space like the Bamboo Symphony, the inspiration comes easy and the beads of perspiration evaporate even before they are formed. 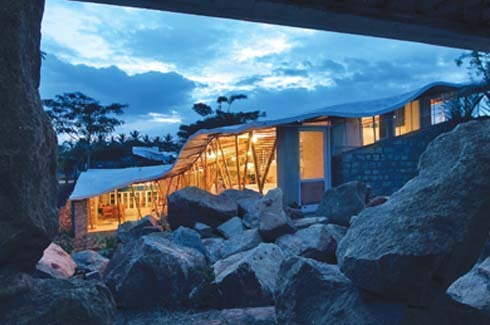 When architect Neelam Manjunath of Manasaram Architects was conceptualising her new office space, the genesis of the core design idea came from unexpected quarters. She shares, “Our ancestors have been using traditional fishing platforms for many centuries; these look haphazard but are in fact based on simple technology with high science. The informal character of the structure representing indigenous technical competence stimulated the concept of my office building.” The nomination of Bamboo Symphony in the prestigious 2011 World Architecture Festival in the mixed use office and small office categories is a validation of the execution of the unique idea. “The structure is our favourite feature, together with the continuity of the lines in the ceiling, walls and floors. This supplies the impression of motion unobtrusively and at all times as opposed to the serene ambience of the office which eases all stress and sets the creative juices flowing,” says Neelam. 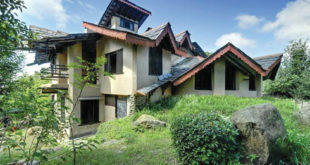 Add to that the rugged terrain encircling the building, the small flowering bushes dotting the surrounds and the rain-water harvesting pond cocooned in the centre and what you have is the ideal al fresco work-environment. The interior is minimal and understated. 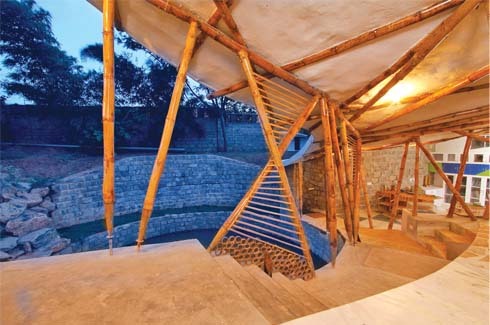 The use of wood and bamboo in the furniture and stone walls not only lend a rustic feel but also help in blending the building seamlessly with its surrounds, further blurring the already thin line present between the indoors and the outdoors. 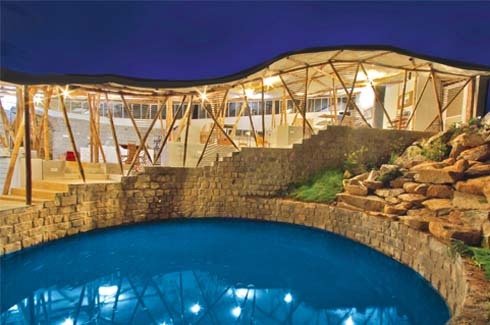 Environmental sustainability has been intricately integrated into the creation, planning and construction of this space. The few walls that exist have been made out of mud blocks created from the immediate materials found right at the site. Other recycled elements that have been incorporated into the construction include fly-ash, wood, metal scrap and stone. An entire ‘wall’ made of a bamboo frame brings enough daylight into the office; this not only eliminates the use of practically any artificial light during the day but also promotes cross-ventilation. 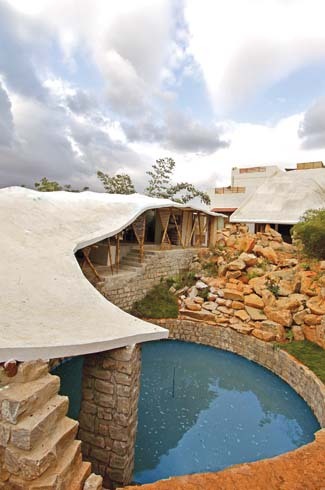 The pond at the core of the structure is an important part of the rainwater harvesting system in place. Special installations have been placed to direct the recycled water towards gardening, cleaning, flushing and other on-site requirements. 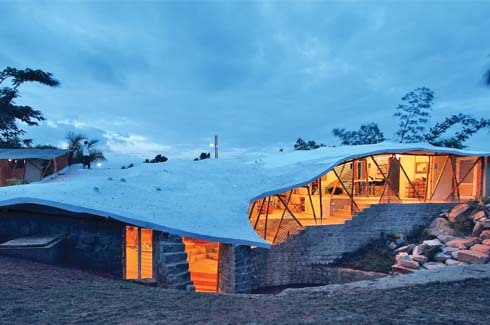 Manasaram Architects’ design philosophy focuses on building with local materials and exploring traditional technologies. Neelam says, “We try to add our technological expertise and aesthetic sensibilities to create benchmarks which are both traditional and cutting-edge.” The use of locally available materials like bamboo and drawing inspiration from the structure of a fishermen’s platform aligns Bamboo Symphony with the firm’s design beliefs. With the advent of new material, traditional substances like bamboo and mud have been relegated to the category of ‘poor material’. 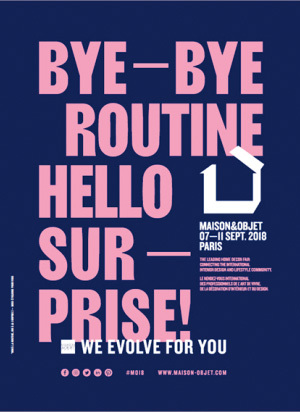 Projects like Bamboo Symphony endeavour to reverse this trend and replace steel, concrete, glass, etc with a hardy and rapidly renewable material such as the bamboo.